48" H burner Fire Pit Kit gives two nice even lines of flame in your fire feature with one uniquely designed burner. H Burner has a center hub that is slightly raised to alow for shedding of water as well as gas pressure to be concentrated in center of both outer burners. Also holes are drilled at 30 degrees for an inward flame patern. ocean, or get a lot of rain or snow. This Kit has a 150K BTU Max Capacity. 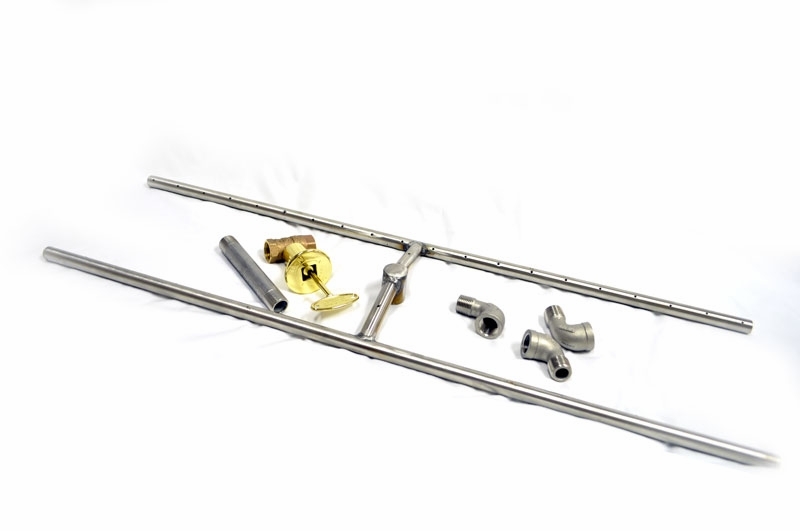 *Kit alone is intended for naural gas installations. For propane please add our air mixer orafice.